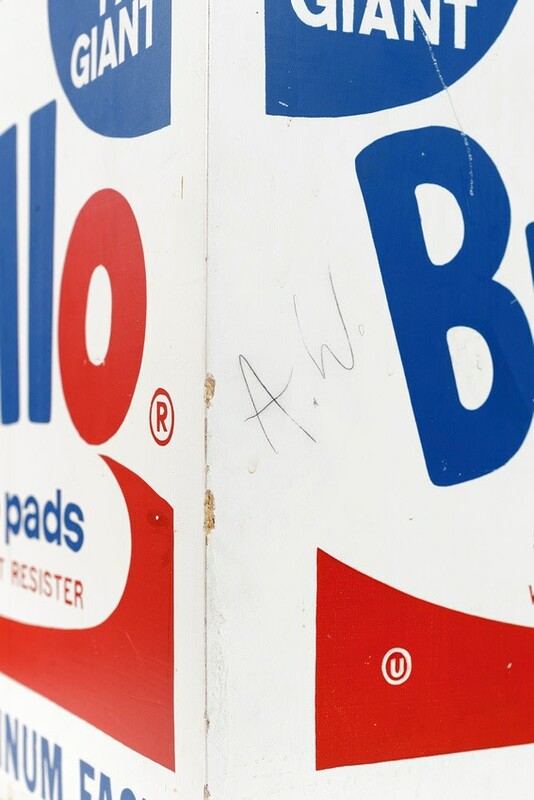 Paint and silkscreen on wood. 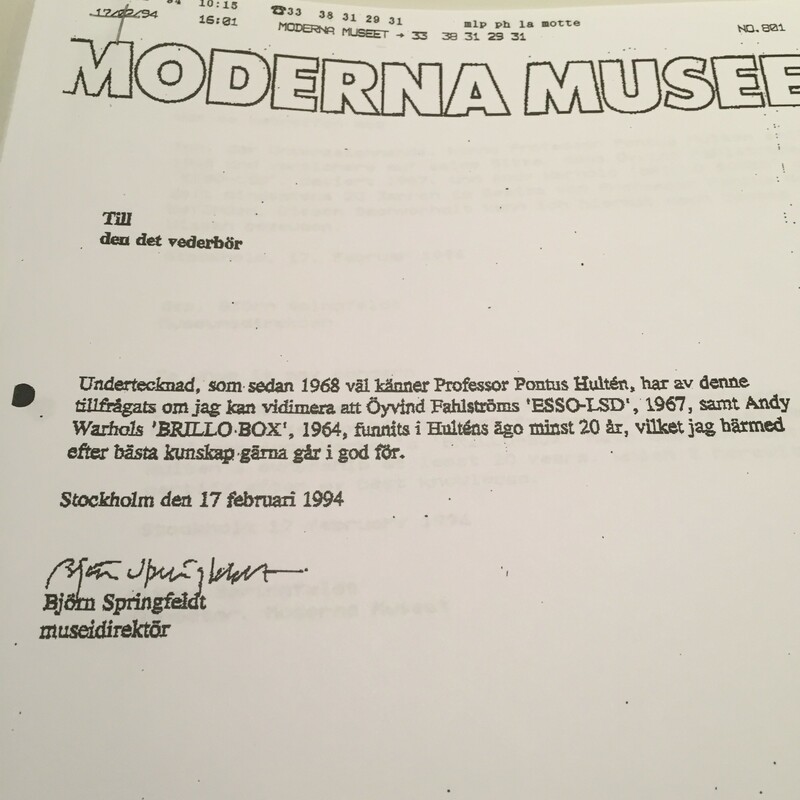 43,9 x 43,9 x 36,1 cm (please note that the raisonne says 43,5 x 43,5 x 35,5 but they mesaured the later 1990 Malmö type. 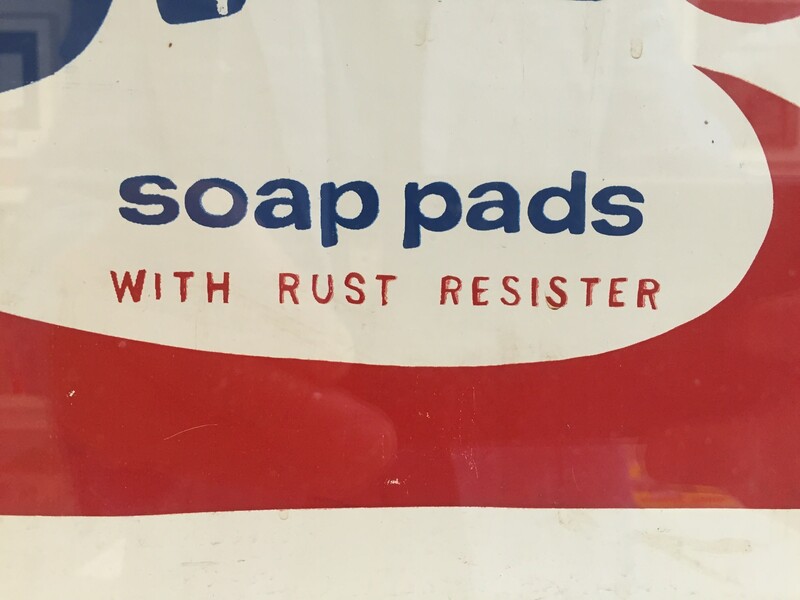 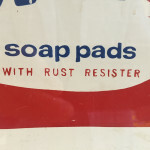 One of only 10-15 produced boxes from 1968. Not to be confused with the later posthomous Malmö Type from 1990 (105 boxes produced). 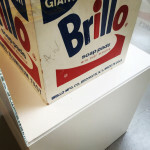 Only 6 boxes from 1968 can be accounted for. This being one of them. 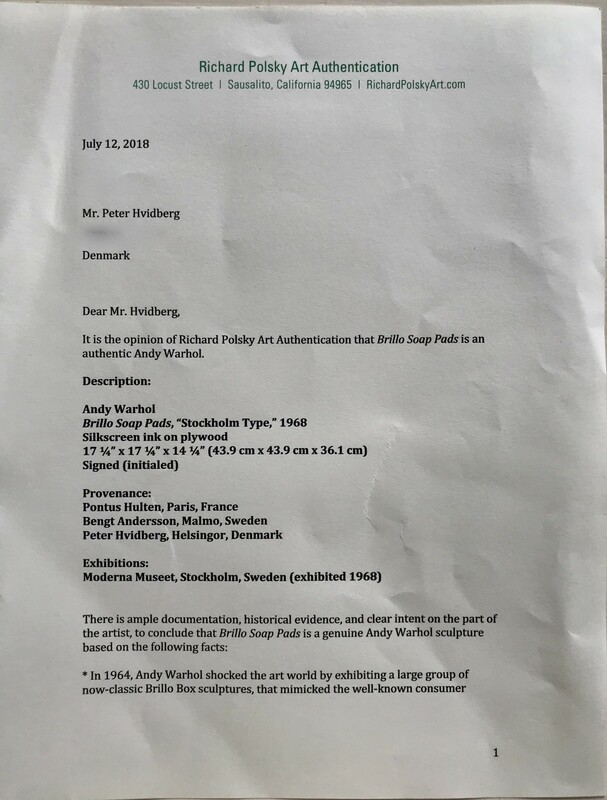 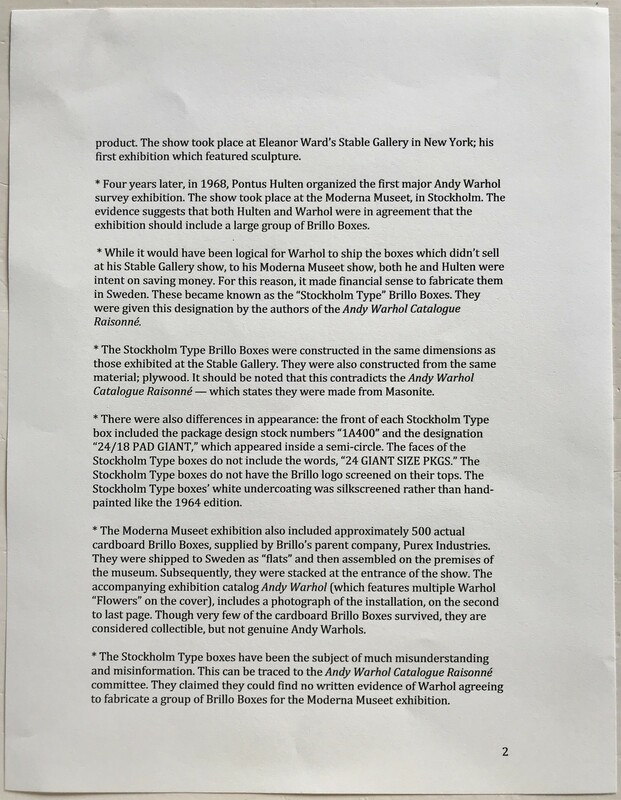 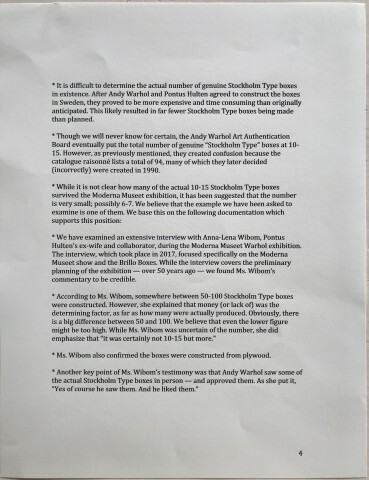 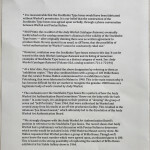 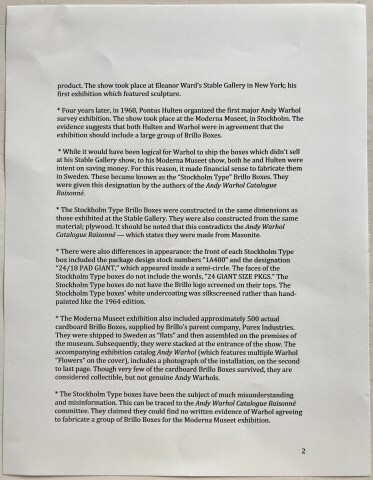 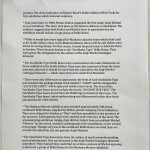 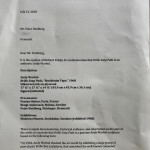 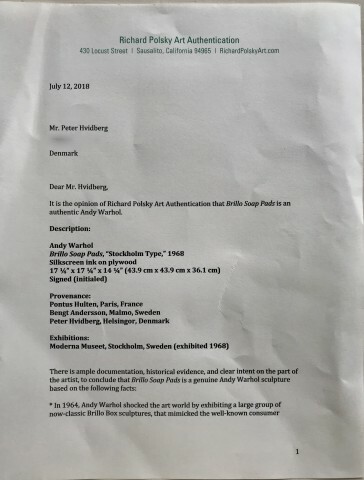 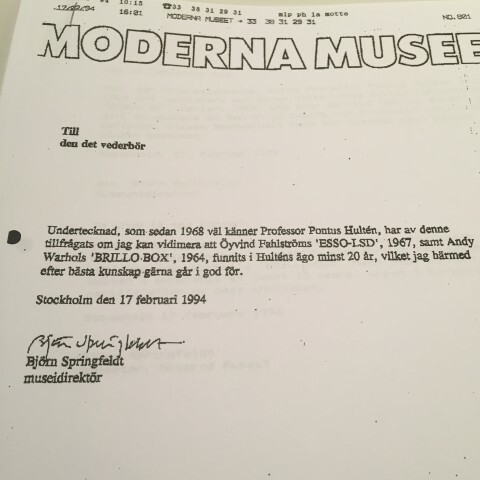 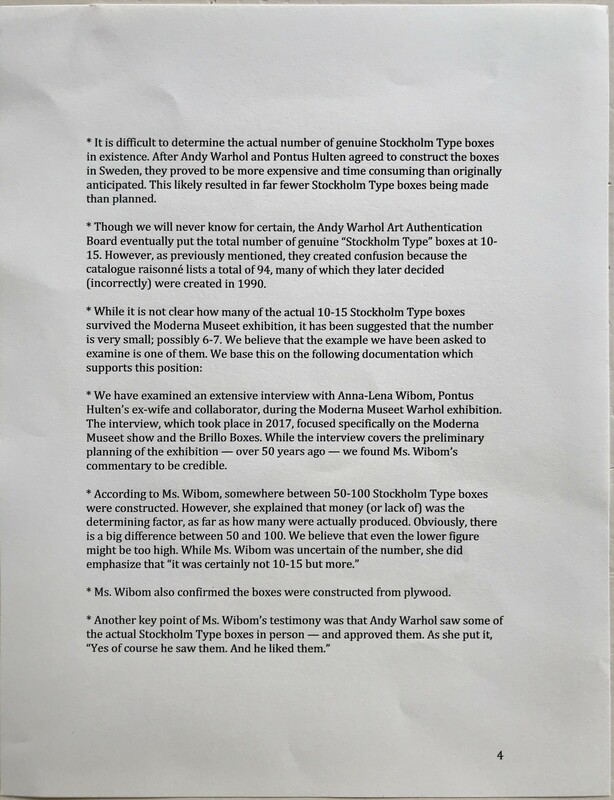 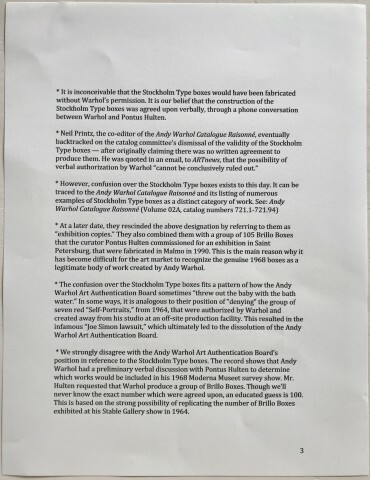 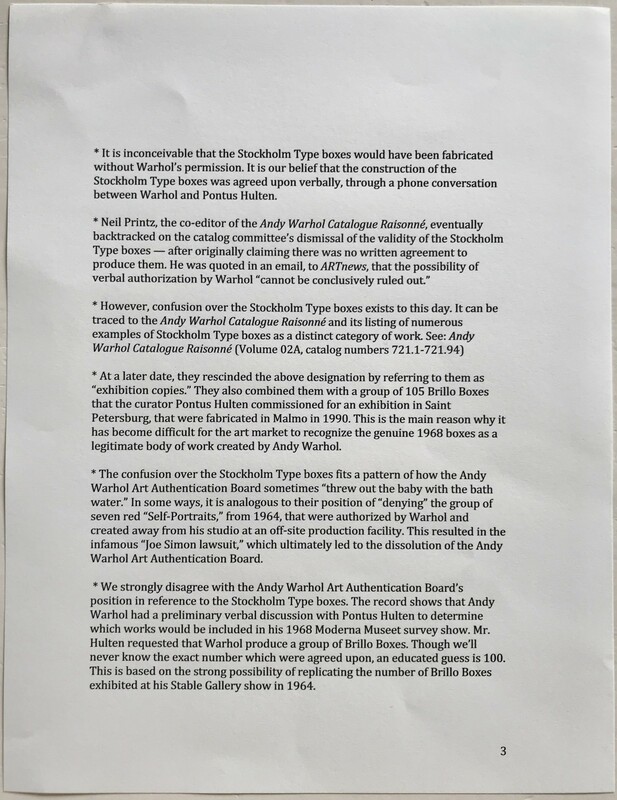 Last photo a letter dated 1994 from Björn Springfeldt (then Director of Moderna Museet) on Moderns Museets letterhead stating that Pontus Hulten had Brillo Boxes at least 20 years back (1968). 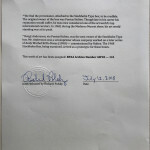 Signed Björn Springfeldt. 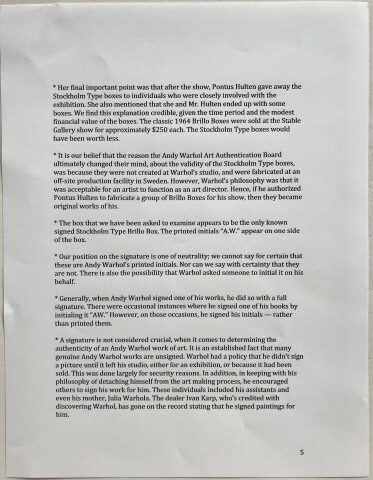 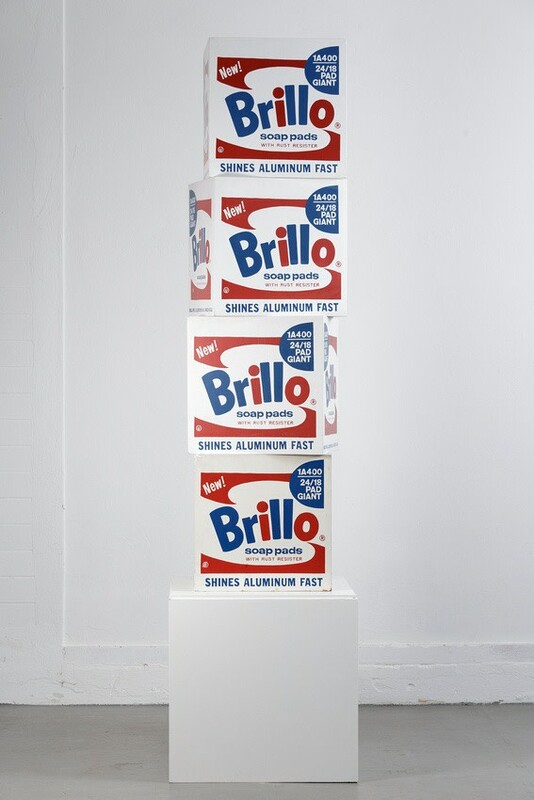 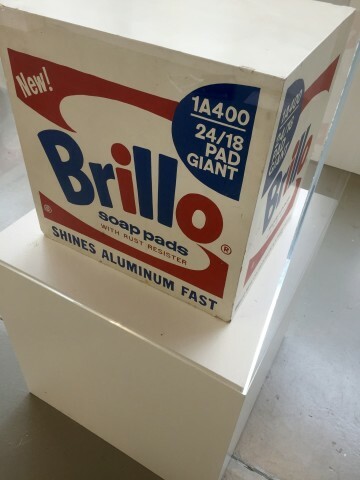 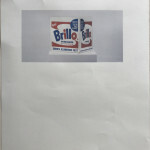 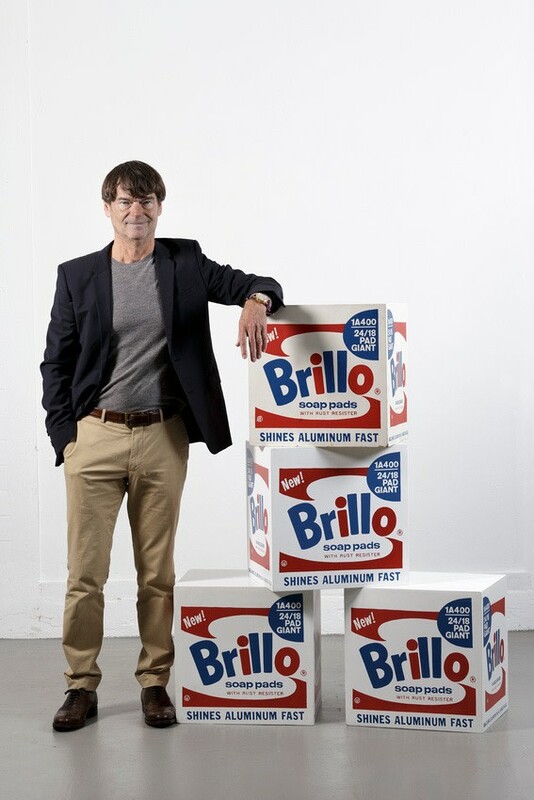 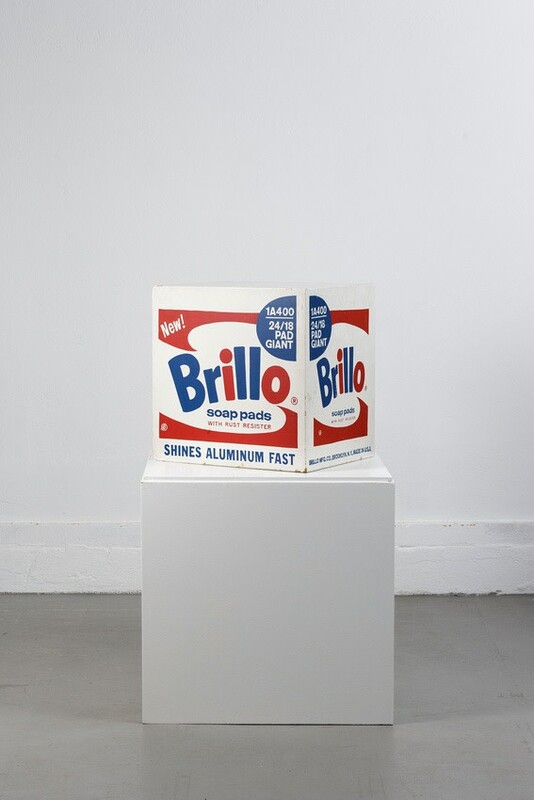 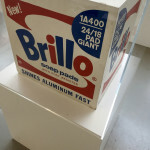 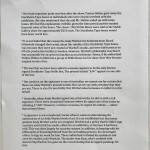 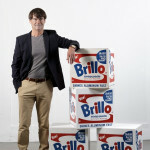 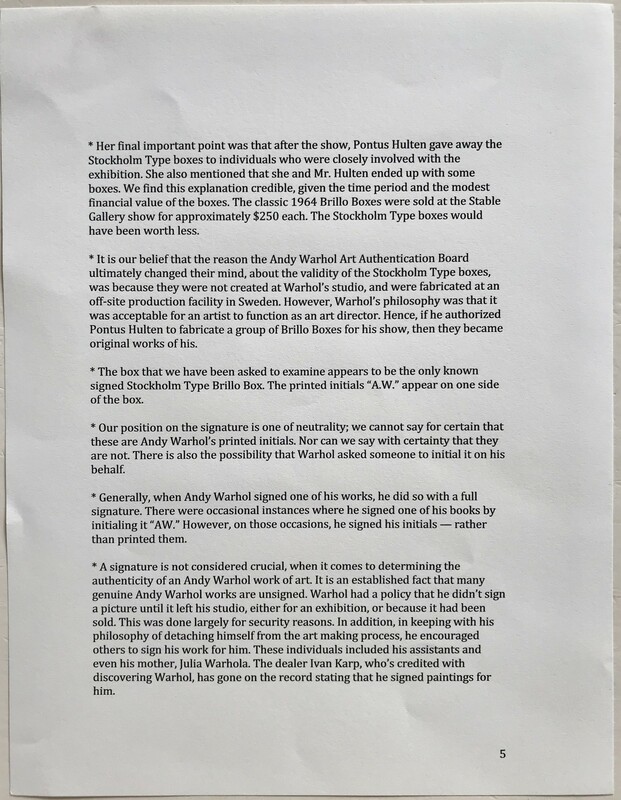 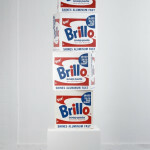 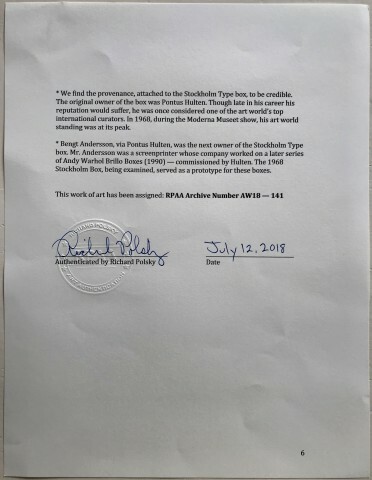 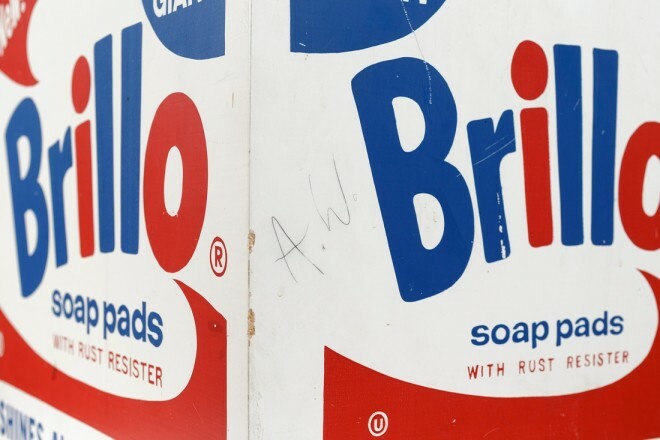 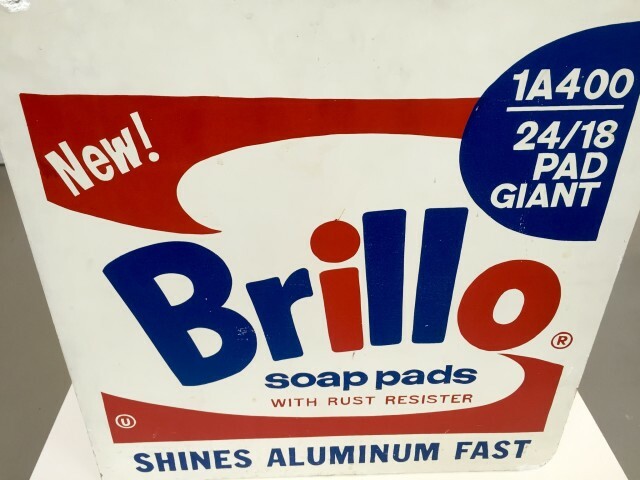 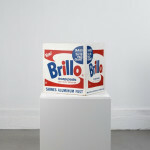 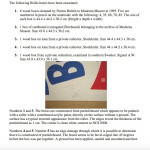 This Brillo Box is the very same box that is mentioned and depicted in Moderna Museets report to The Andy Warhol Art Authentication Board in November 2007. 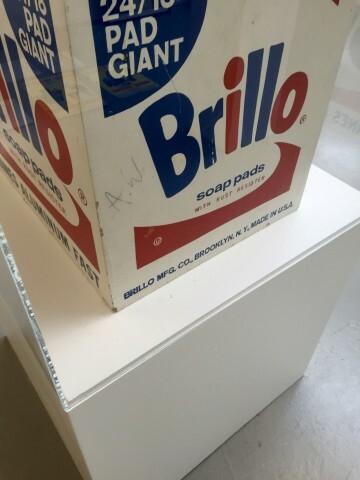 Its the only known box that is signed A.W. (initialled) and this is also mentioned in the report. 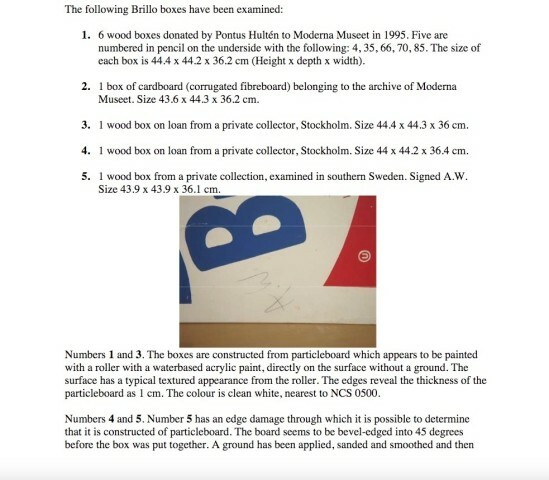 The AWAAB never publicly adressed the signed box. 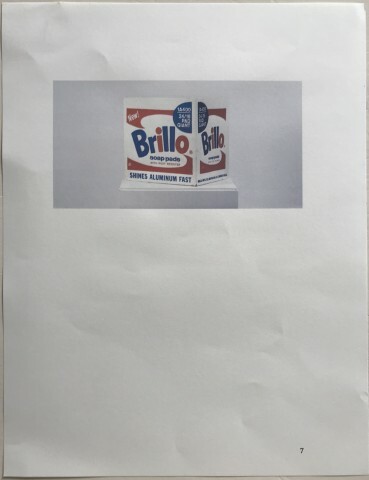 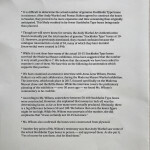 This work has never before been brought to the open market. 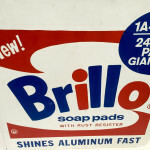 Its probably the best researched Brillo Box in the world and it comes with extensive material. 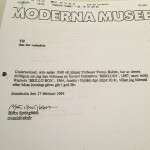 Letters, documents, photos from 1968 etc.